A stunning collection of thoughtful and highly readable short stories by Whitbread Award-winner, Kate Atkinson. What is the real world? Does it exist, or is it merely a means of keeping another reality at bay? 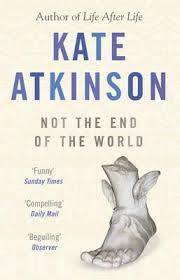 Not the End of the World is Kate Atkinson' s first collection of short stories. Playful and profound, they explore the world we think we know while offering a vision of another world which lurks just beneath the surface of our consciousness, a world where the myths we have banished from our lives are startlingly present and where imagination has the power to transform reality. From Charlene and Trudi, obsessively making lists while bombs explode softly in the streets outside, to gormless Eddie, maniacal cataloguer of fish, and Meredith Zane who may just have discovered the secret to eternal life, each of these stories posits a skewed reality glimpsed out of the corner of an eye. When the worlds of material existence and imagination collide, anything is possible. 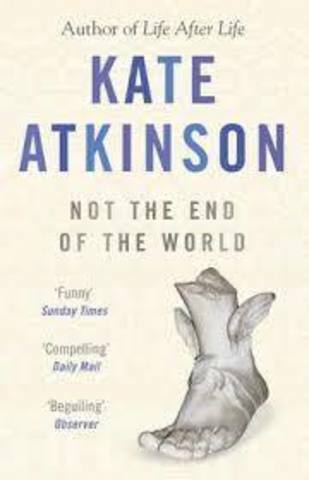 Vibrantly contemporary, plausibly implausible, refreshingly original, Not the End of the World is a timely meditation on mythology and transformation, and demonstrates Kate Atkinson to be one of the most inventive and entertaining of modern writers.